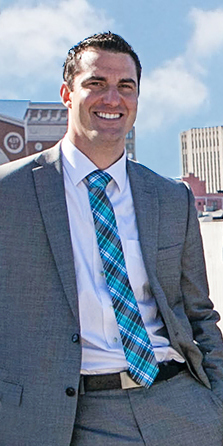 Patrick, a Retail Specialist at Edge Real Estate Group, LLC, has over ten years of real estate development and brokerage experience, which includes site selection and acquisition, sales and leasing. With Edge, he primarily focuses on tenant representation and acquisitions. Patrick represents various national and regional brands with their growth needs throughout the Greater Cincinnati, Columbus, Dayton, Lexington and Louisville markets. Tenant representation clients include: T-Mobile, Woodhouse Day Spa, Waffle House, Sport Clips, and Sally Beauty. Prior to joining Edge, Patrick oversaw acquisition operations at TowerPoint Capital, a firm that specialized in the development, leasing and sale of telecommunications assets. His real estate experience also includes tenures with The Fischer Group Inc., where he focused on land development for residential communities, and Equity, Inc., where he handled leasing and sales for both company-owned and third-party assets. Patrick holds a BA in Communication from the College of Informatics at Northern Kentucky University. He currently holds real estate licenses in both Ohio and Kentucky and is a member of the International Council of Shopping Centers.